Christmas has arrived! Here are some incredible 2018 holiday campaigns! 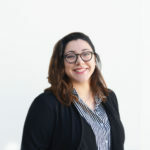 We know the holidays are on the way when we see glitzy Christmas trees in shopping centers, fairy lights lighting up the streets and hear Mariah Carey’s ‘All I Want for Christmas’ at every turn. So how are brands and marketers utilising this festive feel in their marketing? Here are some of the top examples of brands nailing it with their Christmas campaigns! Have you been good this Christmas? Myer’s exclusive, new Naughty or Nice bauble will let you know! 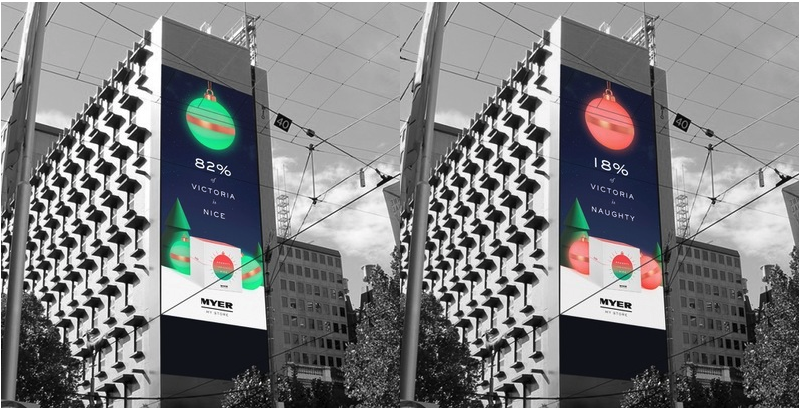 The baubles, developed by Clemenger BBDO Melbourne, pair with an app which gives “Santa” the ability to change the bauble colour to red or green – naughty or nice. The campaign also features real-time data detailing how ‘naughty’ or ‘nice’ people are in outdoor advertisements. We love the omnichannel approach to creating a holistic strategy. The department store might have hit the jackpot this Christmas as the campaign appears to be a success with all baubles currently out of stock! With many Australians driving to visit family and firneds this time of year, the timeliness of NRMA’s “Don’t Drive Naughty, Drive Nice” campaign could not be more opportune. Again we see NRMA creating an omnichannel approach, using the strengths of each channel to bring the campaign to life. The emotive TVC is supported by the creation of a unique landing page for the campaign which features a behind-the-scenes look at the TVC creation. 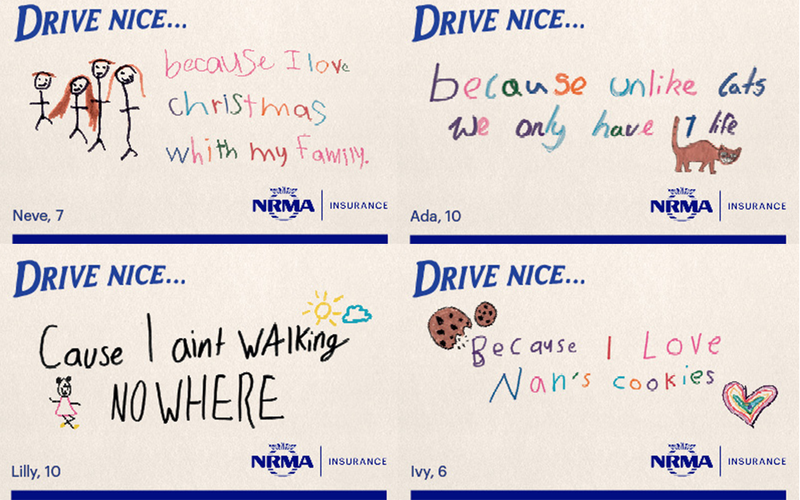 To bring the campaign to life, NRMA enlisted the help of school children to write to their parents about safe driving. We really can’t pick a favourite! Taking it a step further, NRMA created a suite of helpful assets to support the key messages of the campaign. NRMA produced a Christmas podcast series – Christmas stories with an Aussie twist – that are designed to keep kids entertained in the back seat on long car trips. The stories are presented by some of Australia’s favourite personalities including Guy Sebastian, Fitzy and Wippa, and Yumi Stynes, showing the power of partnerships in the creation of content. Wishing everyone happy holidays from the team here at Brandalism! Have a fantastic Christmas and New Year!